The airline transport pilot was conducting a local flight with one passenger. The accident flight was the pilot's third flight in the helicopter on the day of the accident; before that day, he had not flown the helicopter in nearly one year. One witness stated that he saw the helicopter rocking back and forth before it "spun sideways" and "a bunch of parts" departed the airframe. Some reported hearing a "clunk" sound, and others reported hearing a "pop" sound. Another witness saw the main rotor blades "seize," then "snap off," followed by the tail rotor departing the helicopter. The witness stated that the helicopter then "dropped out of the sky." 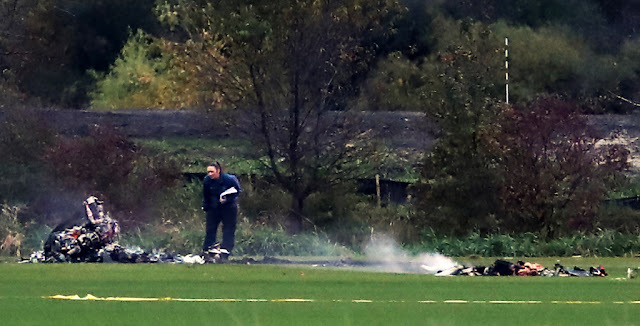 The fuselage impacted in an open field, and a postcrash fire erupted. The separated main rotor blades and hub were found in a pond about 500 ft south of the main wreckage. Examination of the rotor mast showed deformation and fractures consistent with overstress under bending and torsion loads but no evidence of preexisting cracks or corrosion. The observed deformation of the mast was consistent with a mast bumping event. Mast bumping can occur in low acceleration of gravity (G) flight conditions, causing the rotor blade to exceed its flapping limits and resulting in the main rotor hub bumping into the rotor shaft. This often results in structural failure of the rotor shaft and a subsequent separation of the main rotor. Due to the extensive thermal damage to the wreckage, only a limited examination could be conducted; however, no mechanical malfunctions or anomalies were noted that would have precluded normal operation. The pilot had accumulated about 15,000 flight hours in airplanes but only had about 55 hours flight time in helicopters, most of which were accumulated more than 1 year before the accident. Although the pilot had received instruction on how to avoid mast bumping, given his low helicopter experience relative to his airplane experience, it is possible that he made a large, abrupt flight control input that resulted in a low-G flight condition and led to the observed mast bumping. However, the pilot's control inputs are unknown, and the initiating event for the mast bumping could not be determined. The separation of the main rotor assembly due to mast bumping. On October 6, 2016, about 1645 central daylight time, a Fairchild Hiller FH-1100 helicopter, N4035G, was destroyed when it impacted the ground near Lino Lakes, Minnesota, following an in-flight separation of the main rotor assembly. The airline transport pilot and passenger sustained fatal injuries, and the helicopter was destroyed. The helicopter was registered to Helicopter Connection LLC, and operated by the pilot under the provisions of 14 Code of Federal Regulations Part 91 as personal flight. Day visual meteorological conditions prevailed, and no flight plan was filed for the local flight, which originated from the Anoka County-Blaine Airport (ANE), near Minneapolis, Minnesota, about 1620. According to a pilot-rated passenger who had flown with the accident pilot in the helicopter earlier in the day, the accident pilot had not flown the helicopter for about a year and wanted the passenger to "ride along" as a safety pilot. Both the pilot and passenger performed a preflight inspection of the helicopter, which revealed no anomalies. About 1000, they departed on a 5-minute flight then returned and went to lunch. After lunch, they departed on a local flight, which lasted about 45 minutes. After the flight, the passenger asked the pilot if he wanted help moving the helicopter into the hangar, and the pilot indicated that he may fly the helicopter later. Later that day, several witnesses saw the helicopter flying in a northerly direction. One witness stated that he observed the helicopter rocking back and forth before it "spun sideways" and "a bunch of parts" departed the helicopter. Some reported hearing a "clunk" sound, and others reported hearing a "pop" sound. One witness saw the main rotor blades "seize," then "snap off," followed by the tail rotor departing the helicopter. The witness stated that the helicopter then "dropped out of the sky." Several of the witnesses saw parts departing the helicopter as it descended to ground contact. The 48-year-old pilot held an airline transport pilot certificate with an airplane multi-engine land rating. He held commercial pilot privileges in airplane single engine land, airplane single engine sea, and rotorcraft-helicopter. The pilot also held a flight instructor certificate with airplane single- and multi-engine and instrument airplane ratings. He held a flight engineer certificate with a turbojet rating. The pilot held a Federal Aviation Administration (FAA) special issuance first class medical certificate, dated August 16, 2016, with limitations for corrective lenses and not valid for any class after February 28, 2017. The pilot reported that he had accumulated 15,000 total hours of flight time and 400 hours of flight time during the six months before the medical exam. The last entry in the pilot's logbook was dated September 4, 2015, which was the date he passed his commercial rotorcraft-helicopter checkride. The pilot accumulated 55.5 hours of total flight experience in helicopters at the time of that entry, of which about 38 hours were in the accident helicopter make and model. The pilot's helicopter flight instructor reported that, from April 15, 2015, to August 4, 2015, he provided instruction to the pilot in the accident helicopter to prepare him for his checkride to obtain a rotorcraft-helicopter rating. The flight instructor stated that the pilot had some trouble at first in the transition from fixed wing to helicopter and that this is fairly common for high-time fixed-wing pilots, such as the accident pilot. After some time, the accident pilot seemed to handle the transition as well as any other of his students that had previous fixed-wing time. The instructor stated that he gave the pilot ground instruction on teetering rotor systems. When asked how the pilot responded during training situations that could precipitate mast bumping, the instructor stated that the pilot responded correctly to flight in turbulent conditions. He added that, during power loss simulations, the pilot initially was slow to lower the collective and would allow the nose to drop. Eventually, the pilot demonstrated proper entry into and proficiency in autorotations. The pilot's helicopter flight instructor reported that all the instruction he provided to the pilot took place near Lake Charles, Louisiana, and, after passing his rotorcraft-helicopter checkride, the pilot trailered the helicopter to the Minneapolis area. During the trip, one of the doors of the helicopter came open and cracked the windshield of the helicopter. According to the flight instructor, the pilot had just completed replacement of the windshield a short time before the accident. The accident helicopter was issued an FAA standard airworthiness certificate on October 20, 1982, and was certificated for normal category operations. The Allison (Rolls Royce) model M250-C20B engine powered a two-bladed, teetering main rotor system. The engine manufacturer indicated that the rated horsepower for the M250-C20B engine is 420 shaft horsepower. According to the helicopter's type certificate data sheet, the engine had a takeoff power rating of 274 shaft horsepower (hp) for a maximum of 5 minutes, and a maximum continuous power rating of 233 shaft hp. The helicopter had a maximum gross weight of 2,750 lbs and could be configured to accommodate a pilot, another pilot or passenger in the cockpit, and three passengers in the cabin. The helicopter's flight manual had limitations to prohibit acrobatic flight and to avoid abrupt control movements when flying in turbulence. The helicopter's most recent annual inspection was completed on June 18, 2015, at a total time in service of 501.7 hours. In January 2004, the helicopter manufacturer issued Alert Service Letter 23 - 5. The letter indicated that several instances of internal and external mast corrosion had been discovered even when the mast was properly sealed. The corrective action was to remove the transmission top case, with the mast attached, and ship the assembly to the factory for non-destructive inspections. A special coating was to be applied on the interior surfaces. This process is only approved at the factory and cannot be performed in the field. Subsequent to the initial inspection, this process must be done at each overhaul of the transmission or every 10 years whichever comes first. At 1645, the recorded weather at ANE, about 4 miles southwest of the accident site, included wind from 010° at 6 knots, visibility 10 statute miles, overcast clouds at 6,000 feet; temperature 15°C, dew point 6°C, and an altimeter of 29.95 inches of mercury. The main wreckage came to rest on its right side about 4 nautical miles and 52° magnetic from ANE, on a heading about 20° magnetic. The area around the main wreckage was discolored and charred, consistent with a postaccident ground fire. The remaining sections of wreckage did not exhibit any evidence of pre- or postimpact fire. The initial piece of wreckage was a section of composite material located about 1,675 ft south of the main wreckage. A debris path extended to the main wreckage and contained the floor mats, a section of white interior material, an exhaust stack, exhaust duct, a section of the tailboom, the engine cowl, a section of exterior metal with the rotating beacon, a seat cushion, and a section of the tail, including the tail rotor and its gearbox. The separated main rotor blades and hub were found east of this debris path in a pond about 500 ft south of the main wreckage. All major components were accounted for at the scene. The main wreckage, consisting of the cockpit and cabin, was destroyed by impact and postimpact fire. Cyclic, collective, and tail rotor control continuity could not be established due to substantial damage to the cockpit and cabin areas. However, all observed control discontinuities were consistent with overload or thermal damage. The engine, transmission, and tail rotor driveshafts exhibited separations. All observed separations were consistent with torsional overload and overload. Circumferential witness marks were observed on the exterior of the tail rotor driveshaft. The main transmission exhibited sections with thermal melting damage, soot-colored discoloration, and deformation. The separation surface at the top of the mast exhibited overload fractures. The mast could not be rotated by hand. The main rotor blades and hub exhibited overload fractures on the separation surface. Examination of the main rotor system and components found outside the main wreckage site did not exhibit soot colored discoloration or thermal damage. Examination of the engine revealed that several compressor blades were missing. The remaining compressor blades were found bent opposite the direction of rotation. A section of the transmission's main rotor mast and the section of mast from the main rotor hub were removed and were sent to the National Transportation Safety Board (NTSB) Materials Laboratory for detailed examination. 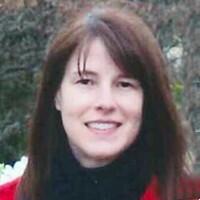 An Anoka County Coroner arranged for the Midwest Medical Examiner's Office, Ramsey, Minnesota, to conduct an autopsy on the pilot. Toxicological samples were taken during the autopsy. The cause of death was listed as multiple blunt force injuries and the manner of death was indicated as an accident. The FAA Bioaeronautical Sciences Research Laboratory, Oklahoma City, Oklahoma, performed toxicology testing on the pilot. Testing was negative for carbon monoxide, ethanol, and all tested-for drugs. The retained sections of rotor mast were examined by the NTSB Materials Laboratory. The mast showed deformation and fractures on slant angles consistent with an overstress fracture under bending and torsion loads. Deformation to the mast associated with impact marks adjacent to the fracture were consistent with mast bumping. No evidence of preexisting cracks or corrosion was observed. The NTSB database was queried for previous mast bumping accidents with Fairchild-Hiller FH 1100 helicopters. The FTW68A0085, NYC83FA102, LAX83FA362, IAD98FA049, and DFW07FA198 investigations listed occurrences of mast bumping findings and their reports are appended to the docket material associated with this investigation. The NTSB database also contained the CHI00FA266 investigation. Internal corrosion was observed within the main rotor mast on that helicopter. This previous investigation report is also appended to the docket material associated with this investigation. Low acceleration of gravity (low-G or weightless) maneuvers create specific hazards for helicopters, especially those with semirigid main rotor systems because helicopters are primarily designed to be suspended from the main rotor in normal flight with only small variations for positive G load maneuvers. Since a helicopter low-G maneuver departs from normal flight conditions, it may allow the airframe to exceed the manufacturer's design criteria. A low-G condition could have disastrous results, the best way to prevent it from happening is to avoid the conditions in which it might occur. Low-G conditions are not about the loss of thrust, rather the imbalance of forces. Helicopters are mostly designed to have weight (gravity pulling down to the earth) and lift opposing that force of gravity. Low-G maneuvers occur when this balance is disturbed. An example of this would be placing the helicopter into a very steep dive. At the moment of pushover, the lift and thrust of the rotor is forward, whereas gravity is now vertical or straight down. Since the lift vector is no longer vertical and opposing the gravity (or weight) vector, the fuselage is now affected by the tail rotor thrust below the plane of the main rotor. This tail rotor thrust moment tends to make the helicopter fuselage tilt to the left. Pilots then apply right cyclic inputs to try to correct for the left. Since the main rotor system does not fully support the fuselage at this point, the fuselage continues to roll and the pilot applies more right cyclic until the rotor system strikes the mast (mast bumping), often ending with unnecessary fatal results. In mast bumping, the rotor blade exceeds its flapping limits, causing the main rotor hub to "bump" into the rotor shaft. The main rotor hub's contact with the mast usually becomes more violent with each successive flapping motion. This creates a greater flapping displacement and leads to structural failure of the rotor shaft. Since the mast is hollow, the structural failure manifests itself either as shaft failure with complete separation of the main rotor system from the helicopter or a severely damaged rotor mast. In situations like the one described above, the helicopter pilot should first apply aft cyclic to bring the vectors into balance, with lift up and gravity down. Since helicopter blades carry the helicopter and have limited motion attachment, care must be given to those attachment limits. Helicopter pilots should always adhere to the maneuvering limitations stated in the [rotorcraft flight manual]. There may be more than one reason or design criteria which limits the helicopter's flight envelope. Heed all of the manufacturer's limitations and advisory data. Failure to do so could lead to dire, unintended consequences. On October 6, 2016, about 1645 central daylight time, a Fairchild Hiller FH 1100 helicopter, N4035G, impacted terrain during an in-flight breakup and collision with terrain while maneuvering near Lino Lakes, Minnesota. The cockpit and cabin areas were consumed by a post-crash fire. The airline transport pilot and his passenger sustained fatal injuries. The helicopter was destroyed during the impact and fire. The helicopter was registered to Helicopter Connection LLC. and operated by the pilot under the provisions of 14 Code of Federal Regulations Part 91 as personal flight. Day visual meteorological conditions prevailed for the flight, which did not operate on a flight plan. The local flight originated from the Anoka County-Blaine Airport (ANE), near Minneapolis, Minnesota, about 1620. In preliminary information given to the Federal Aviation Administration (FAA), several witnesses said the helicopter was maneuvering from an east bound heading to a north bound heading. They heard a loud noise, saw pieces separate from the helicopter, saw the rotor blade separate, and saw a fire. 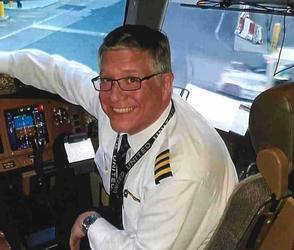 The 48-year-old pilot held an FAA airline transport pilot certificate with an airplane multi-engine land rating. He held commercial pilot privileges in airplane single engine land, airplane single engine sea, and rotorcraft helicopter. The pilot held a flight Instructor certificate with airplane single and multi-engine land and instrument airplane ratings. He held a flight engineer certificate with a turbojet rating. The pilot held a FAA special issuance first class medical certificate, dated August 16, 2016, with the following limitations: Must wear corrective lenses. Not valid for any class after 02/28/2017. The pilot reported that he had accumulated 15,000 hours of total flight time and 400 hours of flight time in the six months before the exam. The last entry in the pilot's logbook was dated September 4, 2015. The pilot accumulated 55.5 hours of total flight time in a helicopter at the time of that entry. N4035G, was registered as a Fairchild-Hiller FH 1100 helicopter with serial number 502. According to FAA airworthiness records, the helicopter was issued a FAA standard airworthiness certificate on October 20, 1982, and was certified for normal category operations. The accident helicopter's data plate was not located in the wreckage. However, according to logbook records, the engine's serial number was listed as CAE823229. The information on the installed engine's data plate indicated the engine was an Allison (Rolls Royce) C20B engine with serial number CAE823229F, which powered a two-bladed, teetering rotor system. According to the type certificate data sheet, it had a maximum gross weight of 2,750 lbs and could be configured to accommodate a pilot, another pilot or passenger in the cockpit, and three passengers in the cabin. The last recorded annual inspection was completed on June 18, 2016, and the endorsement indicated that the helicopter had accumulated 501.7 hours of total time. At 1645, the recorded weather at ANE was: Wind 010 degrees at 6 knots; visibility 10 statute miles; sky condition overcast clouds at 6,000 feet: temperature 15 degrees C; dew point 6 degrees C; altimeter 29.95 inches of mercury. The main wreckage was found resting on its right side about 1,600 feet and 130 degrees from the intersection of Main Street and Sunset Avenue. Its resting heading was about 020 degrees magnetic. The wreckage found furthest south was a section of composite material, which was about 2,775 feet and 163 degrees from the same intersection. The heading and distance from the composite material to the main wreckage was about 15 degrees and 1,675 feet. Along this path, major components were found that included the floor mats, a section of white interior material, an exhaust stack, exhaust duct, a section of the tailboom with danger and an arrow printed on it, the engine cowl, a section of exterior metal with the rotating beacon, a seat cushion, a section of the tail that included the tail rotor and its gearbox, and the main wreckage at the end of this path. However, the separated main rotor blades and hub were found east of this debris path about 500 feet south of the main wreckage in a pond. All major components were accounted for at the scene. The cockpit and cabin were deformed, discolored, charred, and melted consistent with a ground fire and impact damage. Cyclic, collective, and tail rotor control continuity could not be established due to this sustained damage to the cockpit and cabin areas. All observed control discontinuities were consistent with overload or thermal damage. Engine, transmission, and tailrotor driveshafts exhibited separations. All observed separations were consistent with torsional overload and overload. Circumferential witness marks were found on the exterior of the tailrotor driveshaft. The main transmission exhibited sections with thermal melting damage, soot colored discoloration, and deformation. The separation surface at the top of the mast exhibited overload fractures. The mast could not be rotated by hand. The main rotor blades and hub that were recovered from the pond exhibited overload fractures on its mast's separation surface. Examination of the main rotor system and components outside the main wreckage did not exhibit soot colored discoloration or thermal damage. Examination of the engine revealed that some compressor blades were missing. The observed remaining compressor blades were bent opposite the direction of rotation. The coroner was asked to arrange for an autopsy to be performed on the pilot and take samples for toxicological testing. A section of the transmission's mast and the section of mast from the main rotor hub were removed and were sent to the National Transportation Safety Board's Materials Laboratory for detailed examination. The National Transportation Safety Board traveled to the scene of this accident. A section of the transmission's mast and the section of mast from the main rotor hub were removed and were sent to the National Transportation Safety Board's Materials Laboratory for detailed examination. 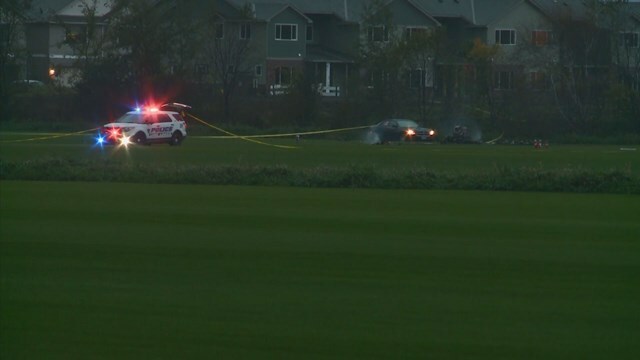 The man and woman killed last week in a helicopter crash in Lino Lakes have been positively identified as Matthew Hayes, 48, and Deborah Smith, 47. The Midwest Medical Examiner’s Office released the identities Monday afternoon. Both died of injuries from the crash late Thursday afternoon. The crash is being investigated by the Anoka County sheriff’s office and federal agencies. Based on preliminary information, officials believe Hayes, of Minneapolis, piloted the helicopter, departing from Anoka County Airport in Blaine with Smith, of Blaine, as his passenger. The helicopter, a 1982 Fairchild Hiller FH-1100, crashed shortly after 5:30 p.m. in an open field near Sunset Avenue and Main Street, not far from a residential neighborhood. It had been in flight earlier in the day with no issues reported. 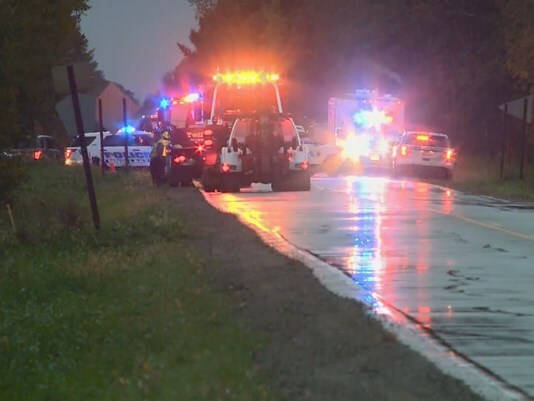 LINO LAKES, Minn. - The Anoka County Sheriff Office confirms that two people lost their lives in a helicopter crash in Lino Lakes Thursday night. The chopper went down in a field around 5:30 p.m. near Main Street and Sunset Avenue. Authorities say the size of the impact area plus a large fireball of the debris that followed made it impossible for anyone to survive the crash. The trail of debris from the initial impact site was several hundred yards long. The pilot was a 48-year-old man from Minneapolis and his passenger was a 47-year-old woman from Blaine. Their names are being withheld until family notification. "It landed in an open field but we're very close to dense residential neighborhoods," said Anoka County Sheriff's Cmdr. Paul Sommer. Witnesses said they saw the helicopter traveling in a northeast direction before suddenly experiencing distress. Sommer says those near the scene reported hearing a loud "pop" or "explosion" before seeing the helicopter's blade stop turning and the helicopter fall from the sky. Officials say based on the amount of debris and its placement, it seems the helicopter was breaking apart as it fell from the sky. Others, like Shane Chatleain says he didn't just hear an explosion before the crash, he felt it. “Shook the house, rattled the house pretty significantly," he said. When he ran to his bedroom window, he says he could still see debris filling the air. The Anoka County Sheriff's Office and other first responders arrived quickly, but there was little they could do. The preliminary investigation revealed the helicopter was a 1982 Fairchild Hiller FH-1100 and that it had been flying earlier that day without any issues. Authorities are asking that if anyone finds debris from the wreckage to turn it into investigators. As the FAA joins the investigation late Thursday night, many neighbors are relieved they narrowly missed such a tragedy and heartbroken they couldn't do more. 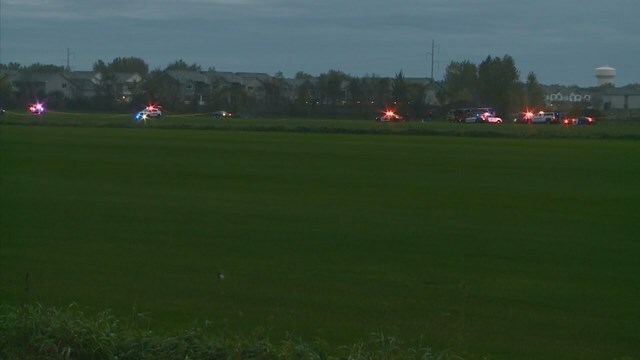 Multiple people were killed in a helicopter crash in Lino Lakes, according to the Anoka County Sheriff's Office. The area is near Sunset Avenue and Main Street. Emergency crews were called to the scene around 5:30 p.m.
"What the officers discovered, a helicopter crashed in the field," said Commander Paul Sommer, Anoka County Sheriff's Office. "There is basically wreckage. There's not a lot I can tell you about the crash scene. There's a large fireball, wreckage." "Witnesses reported that they saw the helicopter. They heard a "pop" or a "bang" and that the rotor appeared to stop. The helicopter then just dropped out of the sky," said Sommer. The FAA and NTSB are investigating the crash of a helicopter today near Lino Lakes, MN. Local search and rescue will have more information about the scene and the people on board. Our investigations take several months or a year or more to complete. Updates will be posted on the NTSB. "We don't know what kind of aircraft this was. We can't identify much based on what remains in the field. It's basically charred up debris," said Sommer. Investigators say it is fortunate that the helicopter crashed in an open field. "We're very close to dense residential neighborhoods nearby here," said Sommer. The Anoka County Sheriff's Office is asking that if anyone finds debris from the helicopter to turn it into investigators. There was a small landing strip about a mile away from the crash site. Investigators don't know if the aircraft had taken off from the strip or if it was trying to land there. "This is a horrible tragedy," said Sommer. "I can't begin to describe what that scene looks like." Authorities reported “multiple fatalities” Thursday night in a helicopter crash in Lino Lakes, in the northeast metro. Authorities could not immediately tell how many people are dead or what kind of helicopter it was, he said. No one on the ground was hurt. Witnesses said they saw the helicopter flying, heard a pop, saw the rotary blade stop turning, then saw the helicopter drop from the sky. Cmdr. Paul Sommer's news conference about the helicopter crash in Lino Lakes. 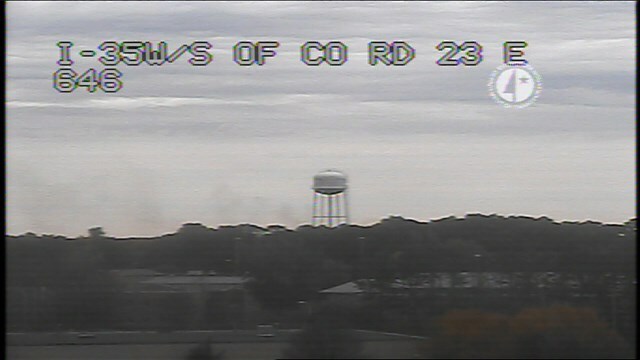 Smoke billowed in the area following the crash. Authorities have asked residents to call Lino Lakes police at 763-427-1212 if they find any unusual objects in their yards that might be debris from the helicopter. Do not pick up or move the objects, they cautioned. It was the second helicopter crash in the region in three weeks. Last month, three people were injured when a North Medical Center helicopter went down on the east side of Lake Winona en route to the airport in Alexandria, Minn. There were no patients on board. That accident is still being investigated.